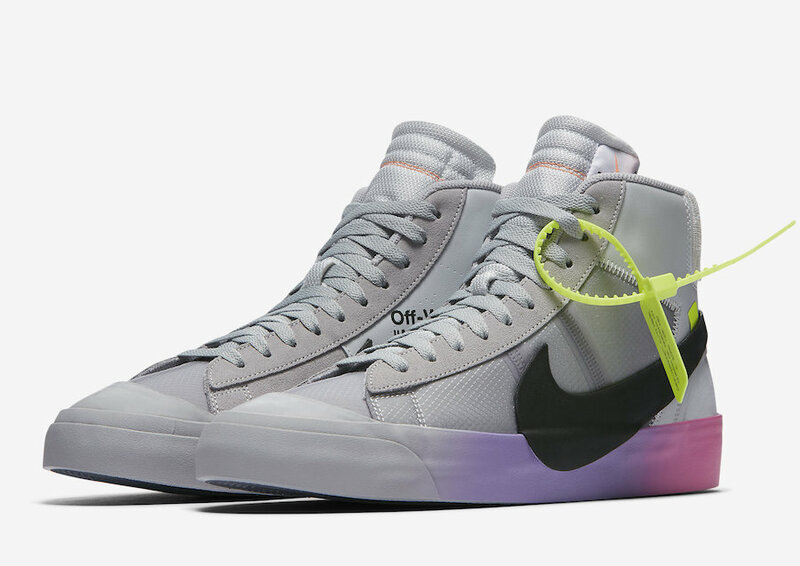 Off-White x Nike Blazer Mid "The Queen"
We got a glimpse of the Nike x Off-White Blazer Mid with a multicolored midsole earlier this month, as it is confirmed it will be apart of a footwear and apparel collaboration for Serena Williams in the 50th U.S. Open tournament. 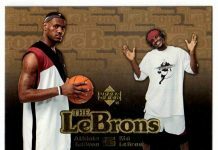 Featuring a Grey-based upper composed of translucent-like material with suede and leather. Black details are seen on the medial text as well as the Black oversized swoosh. 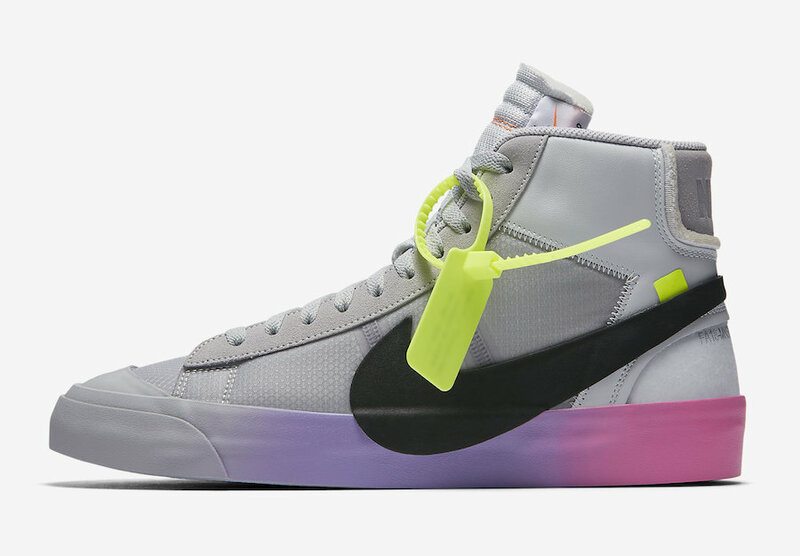 Completing the design is the multi-colored midsole and a Volt “ZIP-TIE”. 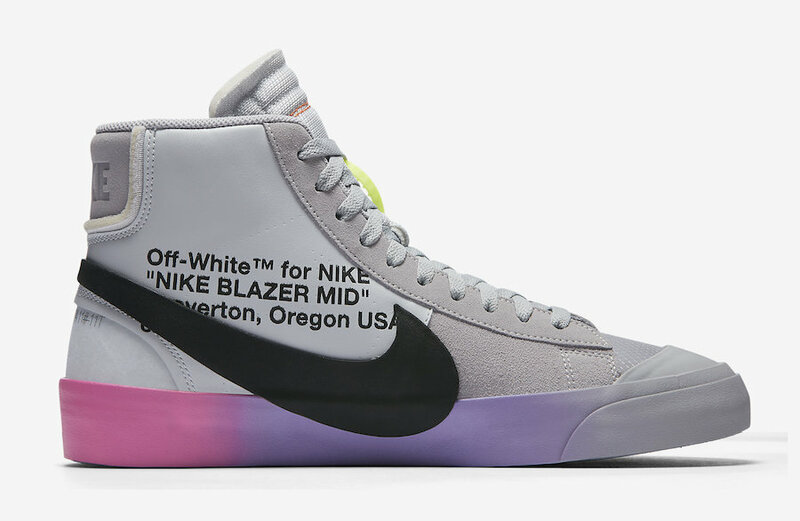 No official release date has been announced yet, but the Off-White x Nike Blazer Mid “The Queen” is set to release exclusively in New York City with the retail price tag of $130 USD.